Hazelnut milk sounds lovely! I am partial to pecans because it’s such a familiar flavor to me. Louisiana pecans are my favorite, but, honestly, just use whatever pecan you can find there in Porto,Portugal! I’m sure it will come out wonderfully. Thank you so much for the kind words! I need to try this in hot chocolate… I bet that is amazing! Thank you for stopping by, and, yes, please stay for awhile! So happy you took time to say a quick hello! 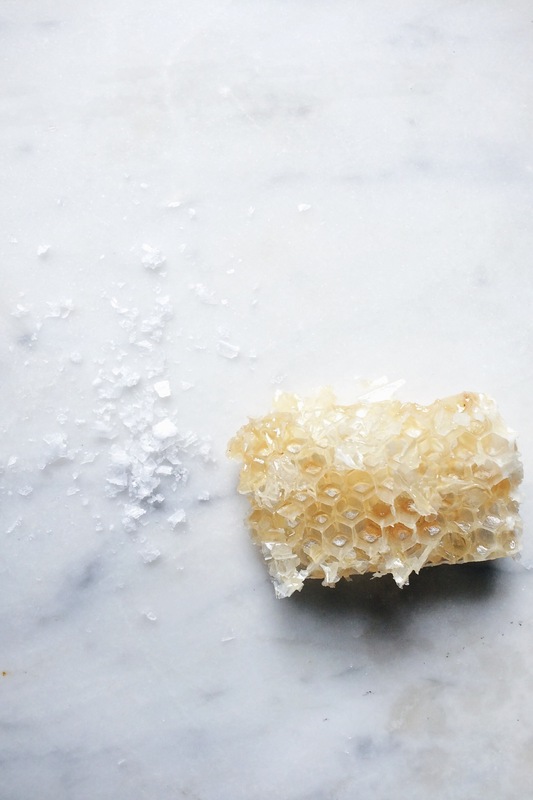 This is a beautiful post bout patience followed by a beautiful recipe. Your grandfather reminds me of mine: steadfast. Steadfast is THE perfect word! I’m so glad you have a grandfather that is strong and steady like mine. I’m so blessed. Thank you for the kind words! This one was a delight to write and photograph. I love when readers are able to find themselves in the stories! It makes my heart happy! I have a yard full of pecans every November, so I’ll have to remember this new idea! I’ve followed your blog for a while and wanted to tell you that my son has just been accepted to Samford! He looks like a red headed – high school version of your handsome husband! I recognized your name from my Southern C family! CONGRATS!!!! That is wonderful news! I’m so thrilled for y’all. Going to Samford was one of the best things that happened to me. I wouldn’t be doing what I’m doing if I didn’t have the professors at that school encouraging me and allowing me to follow my dreams. It’s a beautiful campus too! I loved living in Birmingham, and I still visit there often. I know he will love it! Thank you so much for sharing your wonderful news with me! I’m so honored. This warmed my heart. I grew up in North Mississippi with nothing but pecan trees outside our doors. It was a family activity for all of us to go pick pecans every winter. Our family in Iowa always only requests pecans for Christmas every year, and now that I’ve moved to Nashville, I’m going to anxiously await the post every winter since my mom will have to add me to the mailing list! I can’t wait to try this! Thank you so much for the kind words and for sharing that sweet memory of you growing up in North Mississippi! 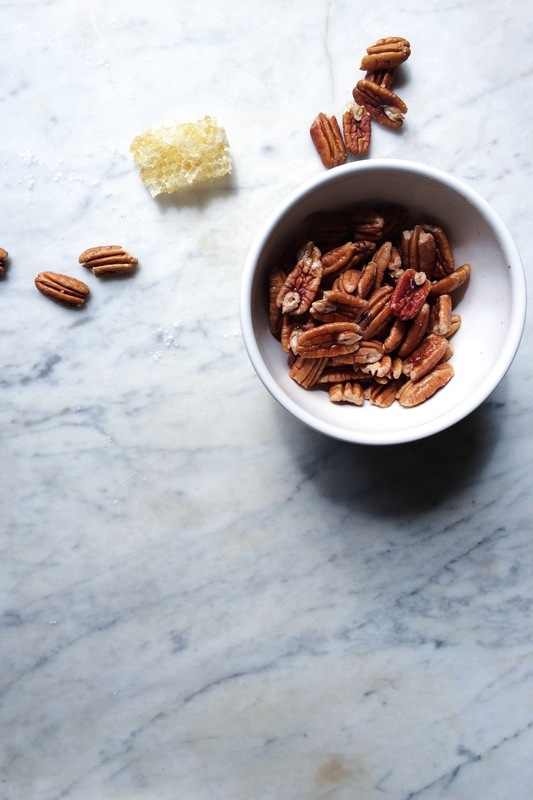 Pecans for Christmas is the best gift ever. I hope you enjoy the recipe! Such a wonderful story and the milk sounds delicious! Thank you, Adam! 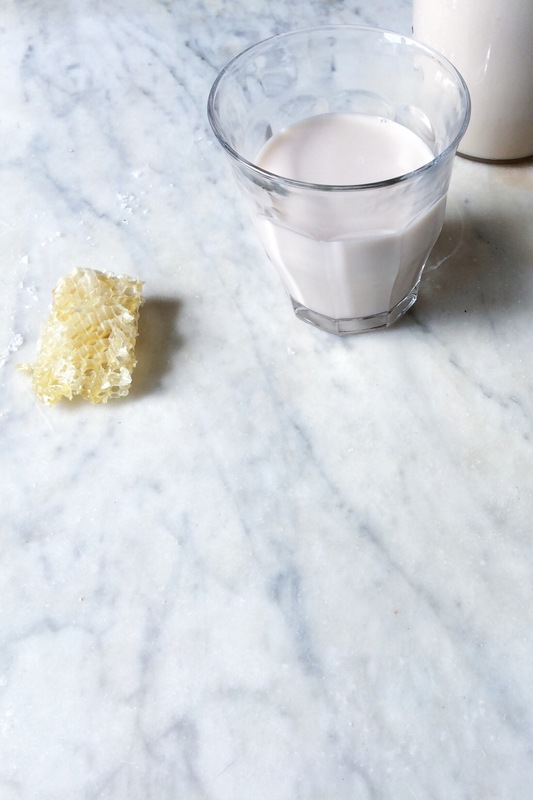 I love how this milk turned out. 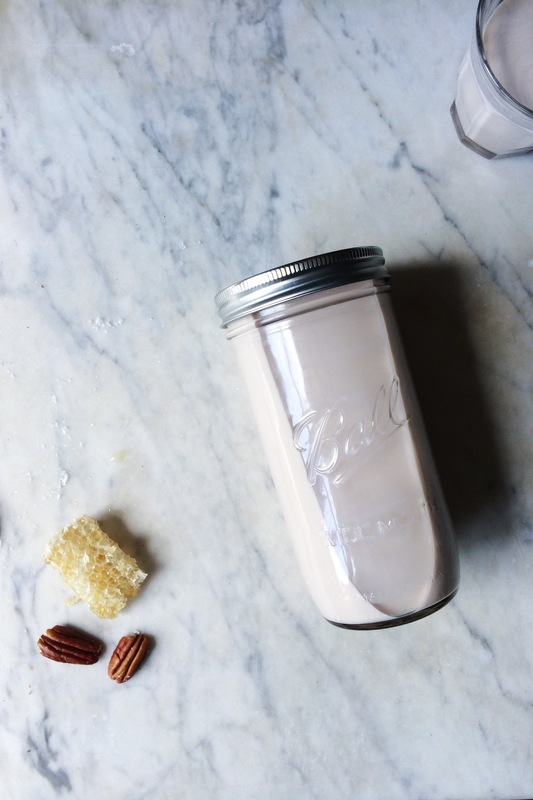 I’ve done this before with almonds but adding the pecans brings the milk to a whole new level! It’s a childhood flavor that is precious to me. Your writing is so beautiful and flowing effortlessly, such a pleasure to read and get drawn in. You are too kind! I love when I am able to connect with the reader, not just through photography or a recipe, but with the story that inspires the whole post. Thank you so much for the encouragement! I love how you mixed in poetry in your writings. But what I love the most about your blog are the sumptuous foodies you deliver, which definitely keep your readers come back for more. Just found your site today thru Pinterest. So happy to be a new fan, really enjoying your recipes and stories, reminds me of my Southern life. It is so wonderful to be a Southerner with so many wonderful memories and the kitchen to share them. Thank you a whole bunch for sharing your memories and wonderful Southern recipes. I’m a northwest Florida native, born and raised. I’m so happy you stumbled upon this space! Welcome! I love being able to share my stories of growing up in the South and the modern recipes that accompany each post! Pecan orchards to my north, west, east and south. Now what a great idea this is.